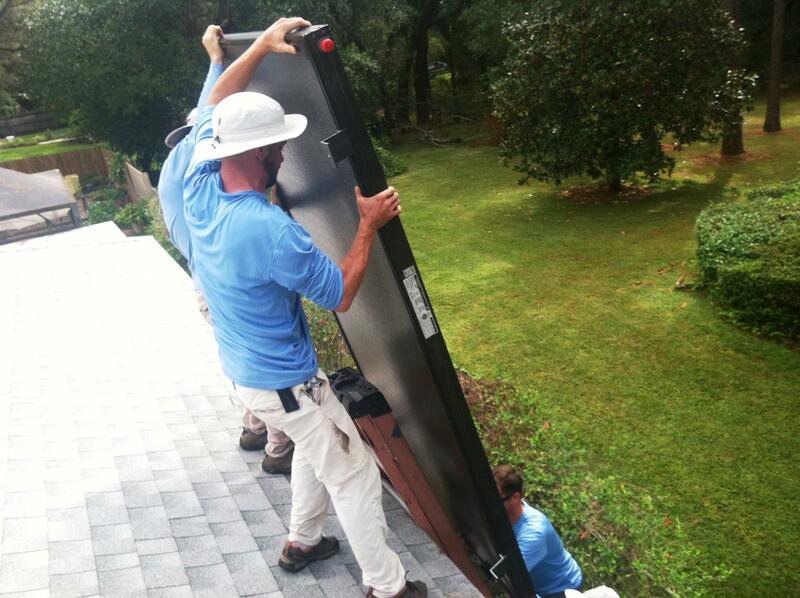 A new report says Florida is leading the nation in solar permits for homes. This week on Florida Matters we're talking about the promise and prognosis of this type of renewable energy in the state. In this preview, we look at why residential solar is becoming more popular - as well as at two new co-ops being formed to take advantage of the power of group buying. 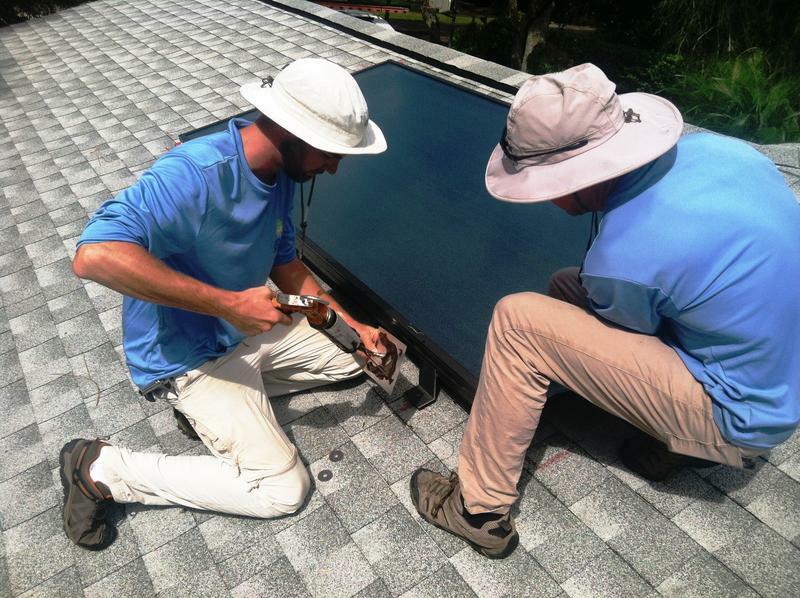 Dan Harmon pounds away on Frank Moore's roof in Temple Terrace, installing a solar panel to heat his water system. "So this is a solar hot water heater, for the type of water system for their house supply," he says. "So it's a really good way to get hot water in an energy-efficient manner that's clean and good for the environment." He fastens on the solar panel, which contains copper pipe painted black to absorb the sun's rays. He then drills a one-inch hole in the roof for the water pipe. Greg Glover is operations officer with Tampa Bay Solar, which had previously installed a series of panels to power Moore's home. "You can see several panels on this roof," he says. 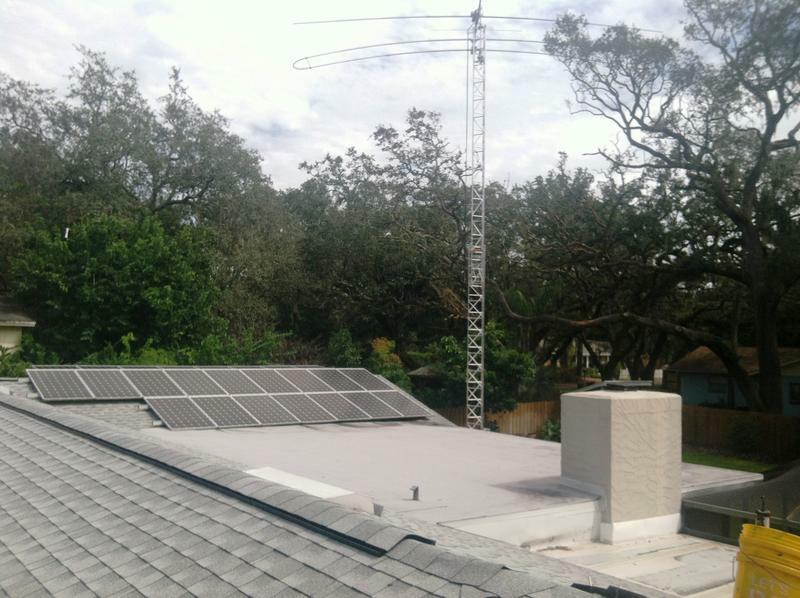 "They are panels that we installed a few years ago, and it's been working great. There are 26 panels on this roof... That's about 7 kilowatts." That's more than enough to power a home. 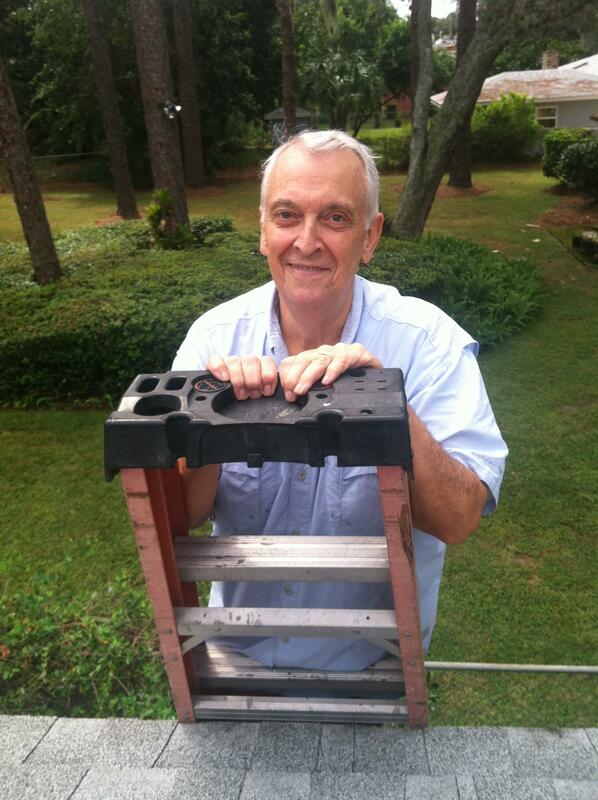 Moore climbs a ladder to check out the progress on his roof. 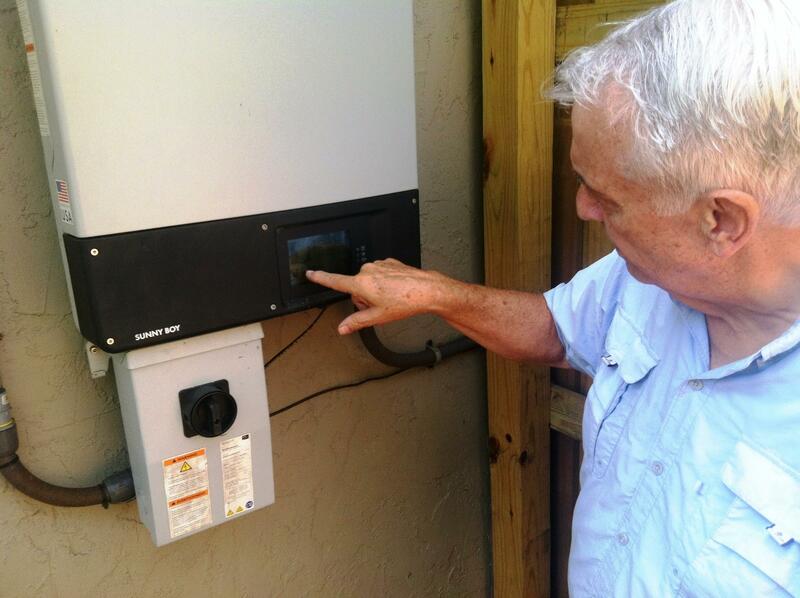 He liked the photovoltaic system so much, he decided to power his water heater with the sun. "My electric bill had been running close to $200 a month, sometimes more, sometimes less," he said. "And I've had electric bills as low as $30." He does have one problem, though: During the time he needs the power the most - like during the recent hurricane, when he lost electricity - he can't just switch on his solar. 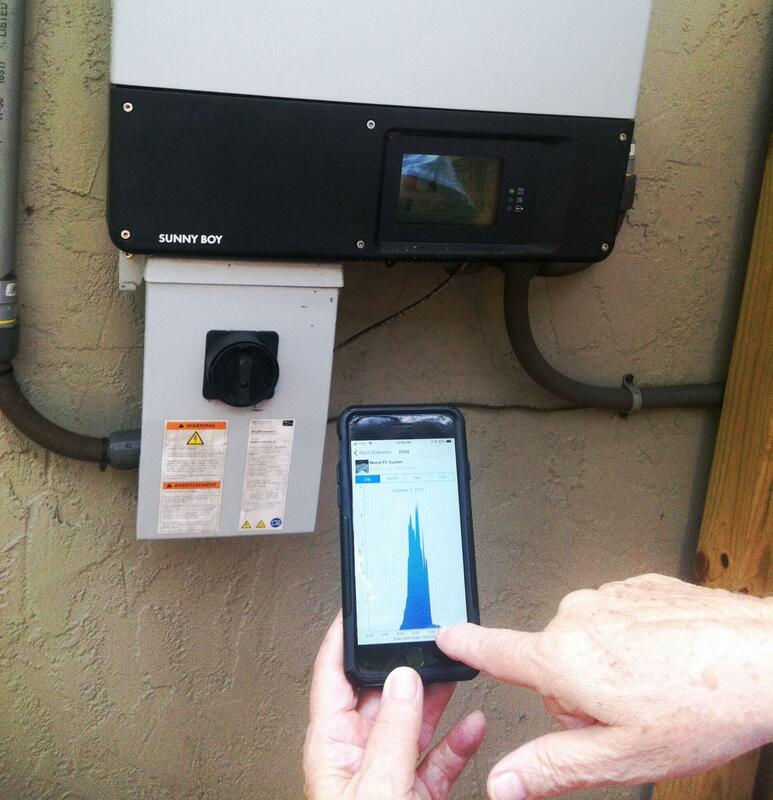 "The only drawback I have is when TECO drops off for some reason, and it's in the daytime, I'm not really allowed to use much of the solar that I generate," he said. "They say it's a safety issue. People out working on the line can hear generators working, but they can't hear your solar running. And if for some reason it backfeeds into the grid, it could kill somebody." He is allowed to use only an emergency outlet from his solar panels, enough to power his refrigerator and fans. But people like Moore will soon have a new - and possibly cheaper - way to power their homes with the sun. Co-ops are being formed in Hillsborough County and northern Pinellas County by the League of Women Voters and Solar United Neighbors. The co-ops lower prices by using competitive bidding to attract solar power installers. Rick Garrity used to head Hillsborough's Environmental Protection Commission. He now volunteers with the League, which has been planning for a year to start a solar co-op in Hillsborough. 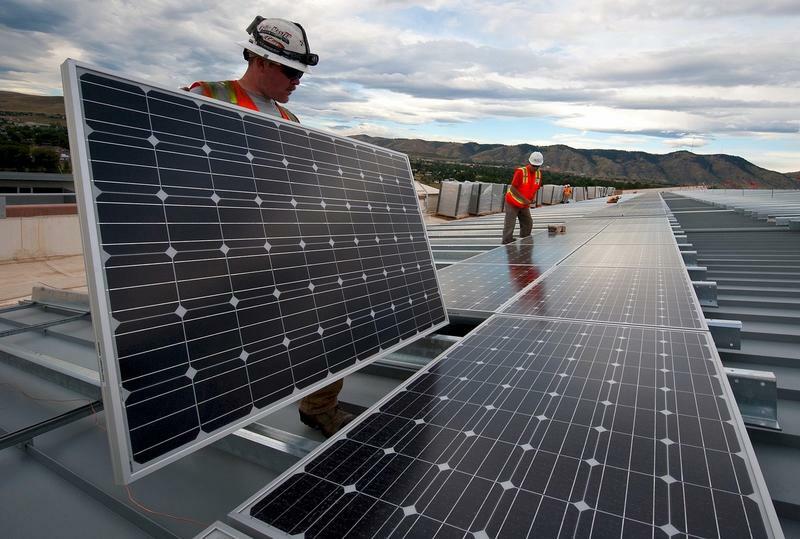 "The price of solar panels have come down 65 percent over the past five years. You can get a 30 percent tax credit on it, and another 20 percent savings through the co-op," Garrity said. "It doesn't make sense not to think about going solar. This is the time to do it." He says there's a set price the installer gives to the cooperative, with adjustments depending on each house. They limit the sign-up period to three months, and each co-op is capped at 200 people. "In Orange County, they've done this like four or five times. The first time was so successful, they just kept doing launches over and over again," he said. "So they have hundreds and hundreds of people signed up. Angela DeMonbreun is Florida Program Director for Solar United Neighbors. "One co-op goes, installations start happening, and then the neighbors start asking, Hey, I want to learn more about solar," she said. "And then those neighbors come together, it's a grass-roots, volunteer-driven effort." "I think the top one historically has been an environmental reason," she said. "But the economics now, they payback period - they're guaranteed for 25 years to keep producing - but now you have a payoff period of five, maybe even 10 years, as well as energy costs keep rising." And that's the reason why people like Frank Moore are switching to solar. "It's mostly the dollars," he says. Now there's a way to leverage the power of group buying to get solar power installed in homes and businesses. 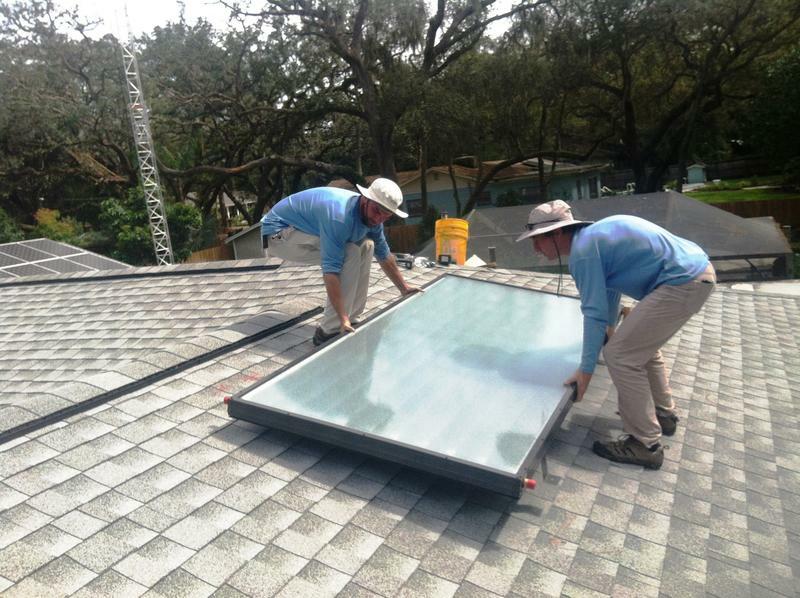 Two new cooperatives are being formed to spread the cost of getting solar power installed in homes in Hillsborough and north Pinellas counties. The League of Women Voters and a consortium called Florida Solar United Neighborhoods started the solar power co-operatives. The co-op aids residents and businesses by using competitive bidding. Florida is looking toward solar energy as a solution — not only for its energy problems but for its economic issues as well. Though it is the third most populous state, it currently ranks fifth in the nation on solar energy yields. Florida Power and Light hopes to change this, with plans to add three solar sites by 2018 and eight more in the coming years. Florida Power and Light announced Monday that it plans to build eight solar generators by early 2018. The plants will increase the company's solar capacity to nearly 1000 megawatts. 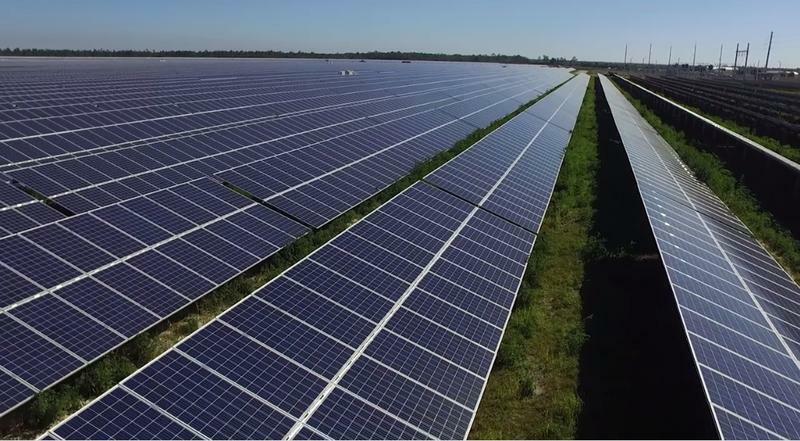 Florida's largest electric utility intends to double its solar-energy plans for the coming year, leading solar proponents to praise the announcement --- and say they would like to see more. A month after outlining plans to build four solar plants this year, Florida Power & Light on Monday said it will put up eight such facilities by early 2018. The company anticipates the plants --- combining to create nearly 600 megawatts of power, enough for about 120,000 homes at peak production --- will save customers "millions" over the lifetime of each center.